Reconfiguring the allocation of your data from your facility to a data centre is a big decision which encompasses not only the physical location of servers, but also other issues such as access to the Internet, cloud storage and the environmental footprint impact of your power usage. A thorough cost/benefit analysis should be run to look at every factor on both sides of the equation that is involved with colocation. Before you make a firm decision about colocation on any level, there are seven questions that should be answered. What are the Benefits of a Data Centre? Clean power–important both to maintain a smaller environmental footprint and to stay within government regulations to prevent fines. Your Power Utilisation Efficiency (PUE) will be much higher in an in-house data centre than in a large-scale facility, due to paying full retail rates for power, and not having economies of scale that reduce PUE on a per sqm basis. Cooling or temperature control–needed to keep hardware working at optimal rates however can be inefficient and costly due to age of building. You will need multiple cooling systems for redundancy. Uptime–the design and ongoing operation, including the level of redundancy and investment in an industrial-grade quality of mechanical, electrical and plant, is far superior as a general rule in data centres than office based server rooms. Also the sites selected for data centres will have specific attributes which improve uptime that are rarely considered when selecting office space. These factors include diverse power feeds from separate sub-stations, flood plain analysis, access to all forms of transportation and priority access to fuel in the case of a state-based emergency. The result is significantly less down time for your business and will ultimately help your IT managers focus on the specific IT problems pertaining to your business instead of worrying about keeping the lights on. Each of these primary cost issues strains your company budget and in most cases, these costs can be lowered significantly in a well-maintained, secure data centre that can split the costs between all of its customers and is built with these issues in mind. Does the Data Centre Maintain High-Power Redundancy? In order to ensure that no data is lost during an emergency such as a natural disaster, redundancy needs to be included and well-executed. However, in the battle to cut operational costs, this issue can be overlooked. Redundancy of Internet and power resources needs to be made a priority and protected for consistent 24/7 access to the Internet. Data centres are purposely located in areas that have power fed from diverse power feeds in order to offer superior levels of redundancy. Redundancy in power is necessary to maintain uptime, even during power outages. Most companies do not have the budget to provide a proper level of redundancy however a data centre does. A data centre will not go down due to this high level of redundancy; therefore your employees can access the cloud whenever needed. How Does the Data Centre Create a DMZ? The unique nature of a data centre allows it to create an impenetrable DMZ to protect and secure valuable data. A data centre physically has the means and the space to isolate the infrastructure from the core, and put up a firewall that cannot be breached. Building a DMZ takes sophisticated technology and knowledgeable staff that are fully trained and certified in securing infrastructure. It also requires a large physical space to isolate the servers. How Does the Data Centre Handle a Staging Area? Creating a temporary or permanent staging area is different from business to business; however transferring data requires detailed operations, operational control and the utmost security throughout the process. Learning the step-by-step process of staging that a data centre uses will teach you a lot about how it operates as a whole. Asking the staff to walk you through a staging process is very enlightening and reassuring. How Secure is the Equipment and Data? A primary purpose of a data centre is to secure both equipment and data. These securities are built into the centre and the centre’s management when created, and updated on a frequent basis due to customer needs for equipment and data security. Since storing data and hosting services are the centre’s primary focus, the updates needed to maintain security are completed in a timely manner and often upgraded for perceived need, ahead of time. Regular security maintenance is a normal, daily part of data centre operations, using high-tech equipment and highly-trained personnel. What is the Next Step to Colocation? There are several stages of colocation beginning with having servers offsite at a data centre, server and application virtualisation, cloud hosting offsite and then moving to managed services. Many companies have already begun moving some or all of their hardware and data to colocation, and some are even using managed services at a data centre. These companies are finding that moving to a data centre is outperforming their expectations both in cost and accessibility, and they are ready to move forward. Once a company is convinced in the absolute security of a data centre, lower cost benefits and higher performance efficiency, then they are ready to get started. 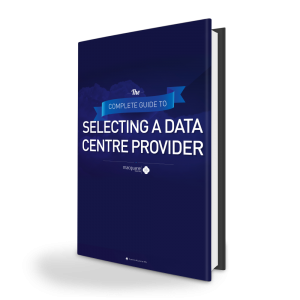 Will the Data Centre Provider Enable Me on My Journey to the Cloud? Many colocation facilities have been built to offer colocation only. This setup might be fine in the short term, however as hardware ages and more equipment is needed, moving to the Cloud becomes a viable option. While it is possible to connect to the Cloud outside of your colocation facility, this solution is not ideal due to connection speed and security issues. A better solution is to select a data centre provider that can offer you colocation now, then help you migrate workloads to a Cloud running inside the facility, and enable a reduction in colocation space and fees as this change occurs over time. This is called Hybrid Hosting and is forecast as the dominant IT infrastructure model for the next 3-5 years. For more information about colocation or for general questions, contact Macquarie Telecom by calling us on 1800 004 943 or by submitting an online enquiry.